The flagship company with company-owned equipment, company drivers and owner/operators. A logistics company capable of providing support and transportation services throughout the 48 states. Formerly Cassidy Transportation and Carroll Gross Transportation, S&H Bulk Transport hauls dry bulk cement and aggregate products throughout Delaware, Maryland, New Jersey, New York, North Carolina, Ohio, Pennsylvania, Virginia, Washington DC, and West Virginia. A local truckload and LTL Load-to-Ride carrier with service to 48 states and Canada; warehouse storage in Reading, PA. Owned and operated by S&H Express, functions as an integrated partner of S&H Express. GL Day Transportation Services Inc. operates as an agent for Demarche and provides the primary assets for Demarche that run under the S&H Express DOT authority. Demarche provides customer truckload needs for Dry/Reefer Vans, Flatbeds, Drop Deck and Containers primarily in the NY, NJ, PA, DE and MD areas. A trailer rental company used by many of our customers to provide temporary and long term storage space as a supplement to their existing warehouse space. 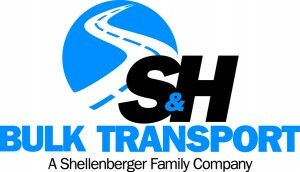 Shelly Truck Driving School is a Pennsylvania certified school training individuals to obtain their Class A CDL License and provide refresher course curriculum’s as needed.